Well, today’s the day when I finally get to show you the book I’ve been alluding to for months now. I hope you’re as excited about this as I am. I can hardly wait! I’ve already told you how I realized I could teach you to alter patterns in order to make your own unique designs. By taking this approach it won’t be necessary for you to learn the technical, time-consuming techniques of patternmaking from scratch because we’ll start with a block pattern and make simple alterations to it in order to develop new styles. This means that you can become the designer, and you don’t need someone else to develop the pattern you want to make. You imagine it, and you make it! 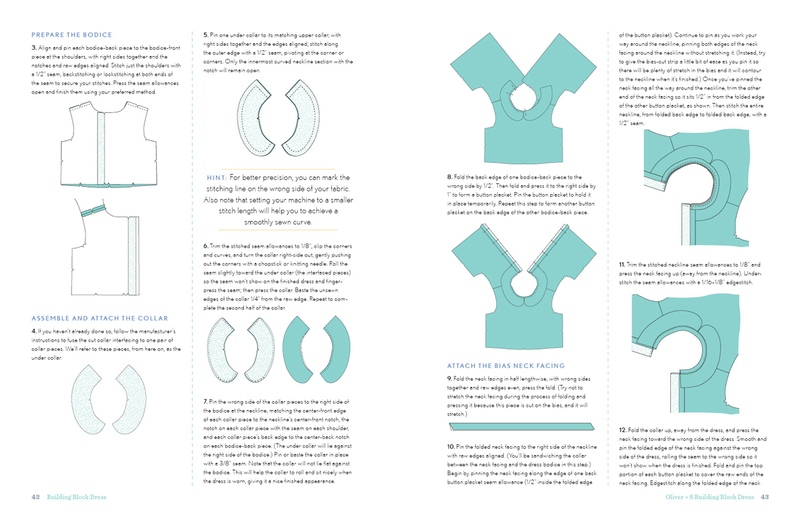 This book contains all the tools you’ll need to design and sew the dresses you want to make. But how exactly does it work? I’ll give you an overview today. It’s my pleasure to introduce you to the Oliver + S Building Block Dress book! The title of the book comes from the classic dress pattern that serves as the basis for the book. This is the block pattern we will work with when we make all the pattern alterations. Here’s what the block dress pattern looks like, without any customization. When you buy the book, a full-size Building Block Dress pattern is included in a nice little envelope at the back of the book. It’s printed on two large sheets of paper and includes sizes from six months all the way to twelve years. 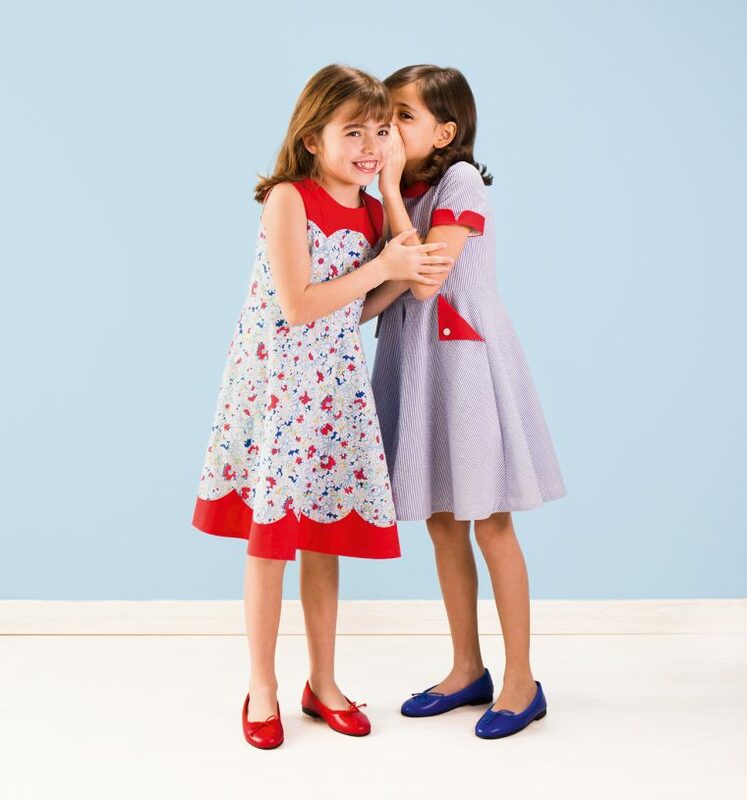 You’ll be able to sew a lot of dresses for a lot of children for a lot of years with the pattern. The Building Block Dress is a typically well-drafted Oliver + S pattern. Even if you don’t make any alterations to it, it’s a pretty, classic dress style that you could enjoy sewing again and again. To begin the book, I’ve assembled a lot of inspiration to help you start imagining what you can do in your own projects. 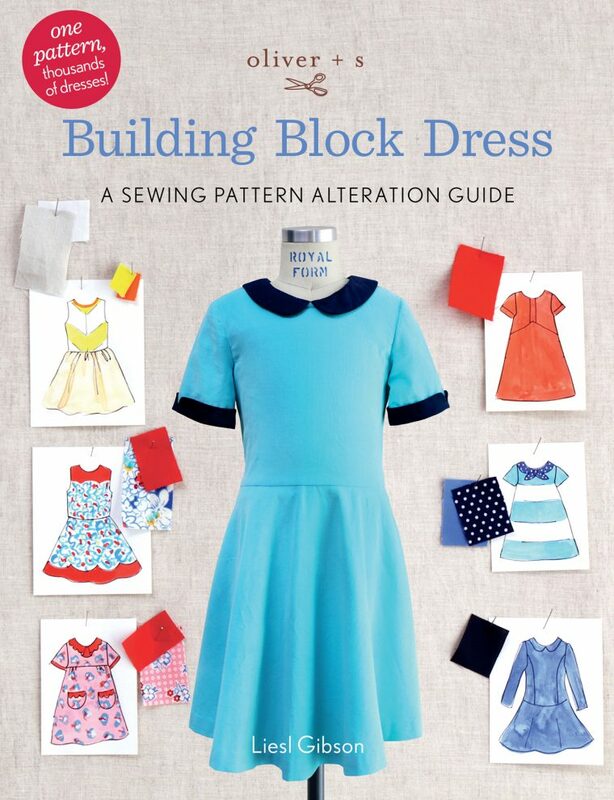 I sewed 18 different dresses for this book, each based on the Building Block Dress and each using various pattern alteration techniques explained in the book. And these 18 dresses are just the start. You can make literally thousands of different dress styles (60,481 actually; Todd did the math, as he tends to do) by mixing and matching the pattern alteration techniques in the book. But I’m getting ahead of myself here. I’ve included a simple worksheet in the book to help you organize your thoughts and start planning your designs. 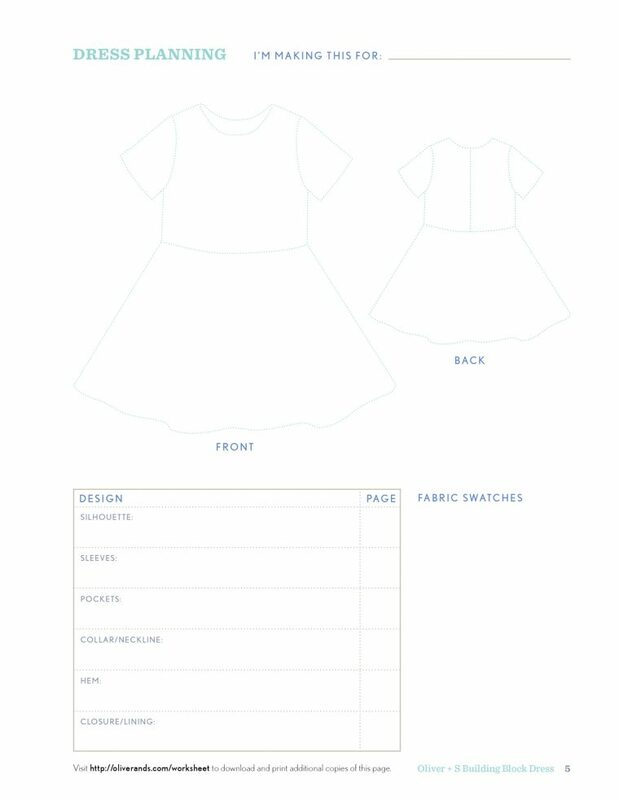 The worksheet includes a very light, dotted-line sketch of the front and back of the Building Block Dress to serve as the basis for you own designs. 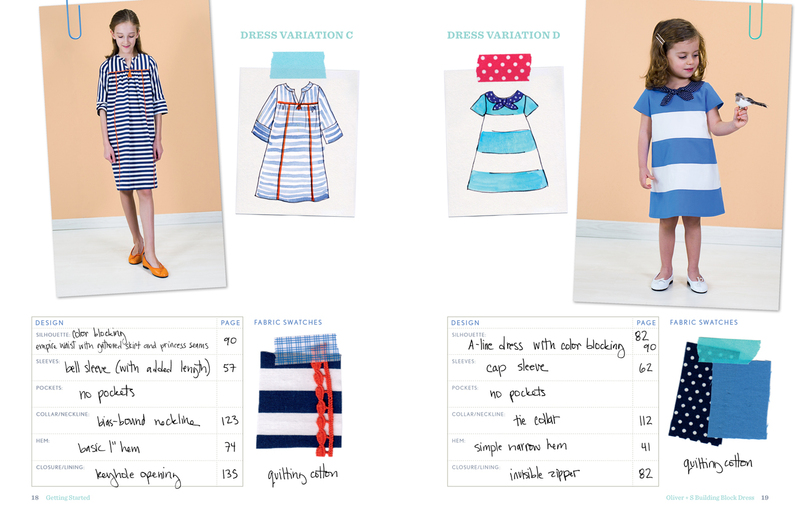 You can sketch your design over the dress outline to help visualize what your ideas will look like when they are made. 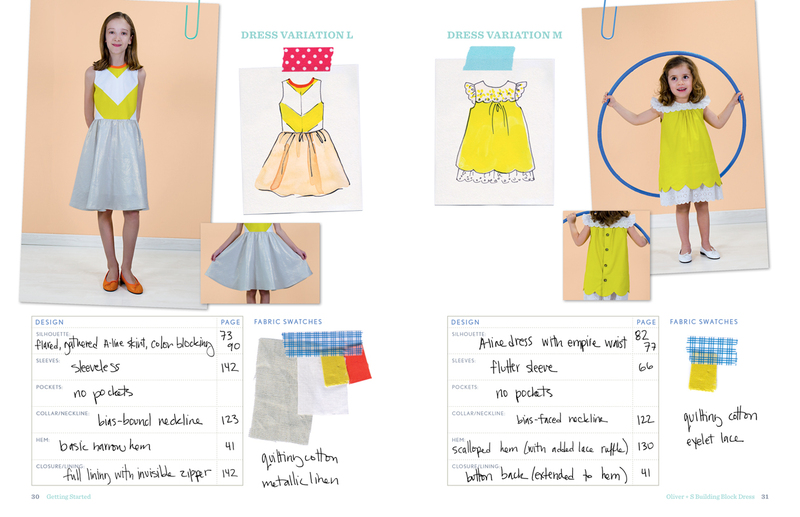 The worksheet also gives you space to add fabric swatches and trims, and you can plan your dress by writing down which pattern alterations you will need to make and the pages where those instructions are found in the book. We’ve even made it easy for you to get additional copies of the worksheet. You can download the worksheet file from our website and print more copies. You’ll be referring to this page frequently while working on your dress, and you might even want to save your worksheet after the dress is finished in case you want to refer to it again. 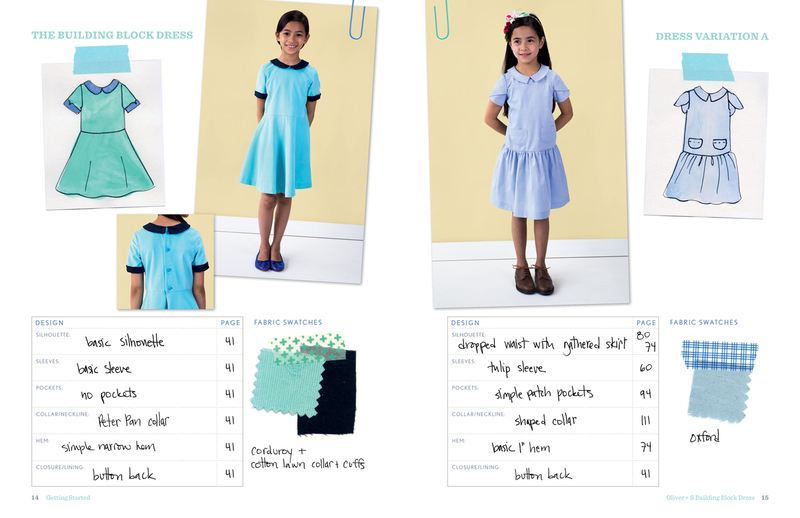 In fact, you could collect all your design worksheets in a binder to keep track of each project you design and sew. The front of the book guides you through what you need to know to get started. You will need a few items in your patternmaking toolbox before you begin, and I show you how to use them. Since you will want to save the original pattern sheet to use in making future dresses, I teach you how to trace a pattern. This section also explains the basics of making and fitting a muslin, which will come in handy as you develop some of your designs. 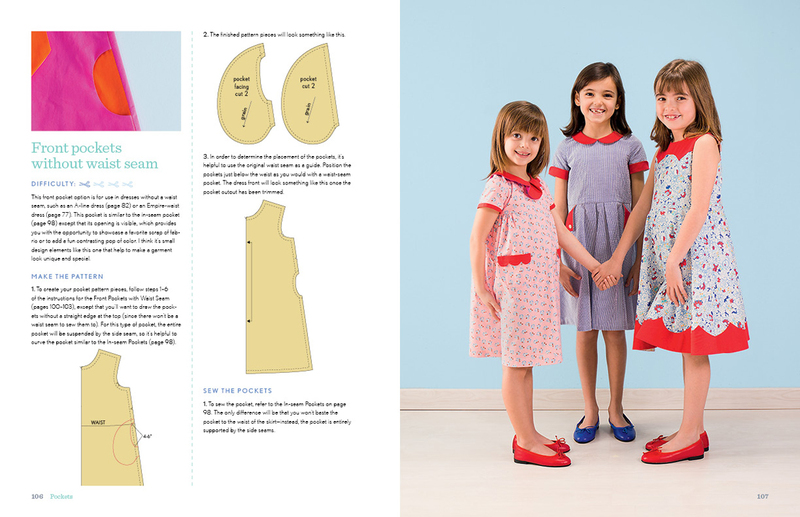 As with all our patterns, the Building Block Dress includes detailed instructions and illustrations to guide you through the sewing process. You will use these instructions for sewing every dress you design based on this pattern. If you’ve sewn with our patterns before, you know that you can feel confident that we’ll take you through the sewing step-by-step and that you will end up with a finished product you can be proud of. Now we come to the exciting part. The rest of the book is divided into chapters to help you navigate all the pattern alterations options available to you. By mixing and matching options from each section, you’ll be able to create the pattern for just about any dress you can imagine. Here’s how this section is laid out. Sleeves: We start with sleeves, and I show you how to alter the pattern to create ten different sleeve types–from puffed sleeves, to bell sleeves, tulip sleeves, cap sleeves, and even sleeveless. Sleeves are a perfect place to start because they are small, and you’ll learn the techniques that we use throughout the rest of the book in a low-stress environment. Silhouettes: This is the area where we really start taking the pattern into new places. You can completely alter the look of a dress by changing its silhouette, and I show you how to alter the skirt from the basic A-line shape of the original Building Block Dress to a fuller flared skirt, a gathered skirt, and we’ll even add box pleats to it. We’ll also change the shape of the dress to Empire waist, dropped waist, and A-line. Plus, we’ll add princess seams to the pattern. We’ll even do a little color blocking since that’s an interesting way to change a pattern as well. Pockets: Everyone loves pockets, and I show you how to draft seven different pocket types including a variety of patch pockets, in-seam pockets, and some interesting front pockets that can be used to add fun detail to all sort of sewing projects. Collar and Necklines: If you’ve ever wanted to add a collar to an existing pattern, here’s how. In this section I teach you how easy it is to draft a professional-looking collar. Then we begin playing with the collar by adding a variety of shapes to it including scallops, a front tie effect, and even a sailor collar. (So many of you have asked for this over the years; here it is at long last!) I also show you how to alter the shape of a neckline and finish it with details like facings, external facings (so you can use the neckline as a design element), and bias binding as well as bias facings. Finishes Including Hems, Closures, and Linings: The details don’t get enough credit when it comes to dress design, so in this section I show you how to finish all sort of hems, including drafting a scalloped hem. I also help you include a lining, and I cover buttons and zipper closures. But if you hate buttonholes and zippers, I teach you how to change the closure to a keyhole so you can avoid both of them entirely! The back of the book includes our popular glossary of terms as well as additional information about making bias strips and bias binding. This way you have everything in one handy location. When I was younger, my mom sewed for me and she would take inspiration from the sleeve of one pattern and sew that sleeve onto another pattern to create the dress that I wanted to wear. That’s what this book is all about. It gives you the tools to customize any pattern at all. So don’t limit yourself! Once you’ve learned these techniques, you can use the book as a reference guide and refer to it over and over again. The pattern alteration techniques I cover in the book aren’t limited to working with the Building Block Dress. 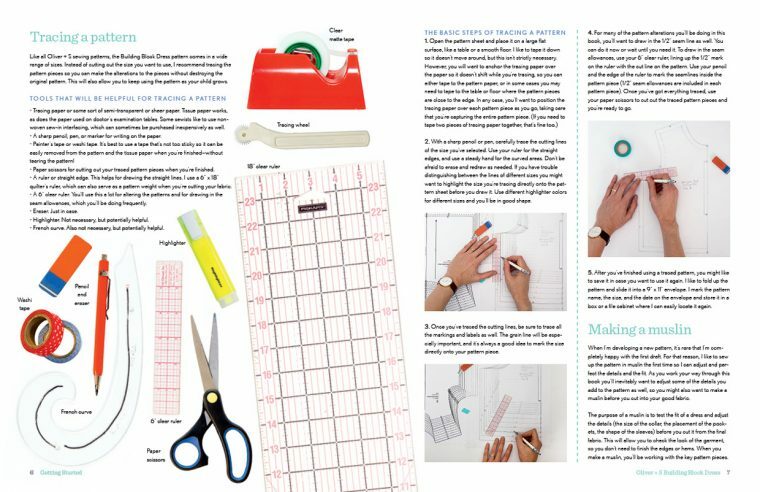 All the techniques in the book can be applied to any sewing pattern you own (or want to own). This means that you can use any pattern you like as a block and alter it to create other styles that suit your tastes. That said, we have been discussing doing a similar book for women in the future. That book would need to include information specific to the fit issues faced in sewing for grown-ups. Before we take you through all the details of completely altering block patterns for women, I want to assemble a course of materials that will help you learn good fitting techniques. Once you understand fit techniques for women, we can tackle using darts and all of the exciting things that can be done with them. But that’s a project for the future, and we’ll determine if we can undertake it based on how well this book sells. If it sells well enough to justify doing a similar book for women, we’ll consider doing that book at a later date. So if you’re interested in that book, you can place your vote for it by purchasing a copy of this one! The book will be available for sale here starting at 11 AM ET next Monday, September 19. While you wait, you can preview the book’s product page in our shop to get more information. You can even leave your email address there and we will send you a message just as soon as copies go on sale. Oh, there’s one more thing. If you come back here next Monday, just before the book goes on sale, I’ll have a couple of special offers to share with you. They will be available only for people who purchase the book from us next week. I think you’ll like them. So what do you think? I hope you’re as excited about this book as I am! Liesl, your hardwork shines through. I don’t have a daughter to sew for, but wish I could with how cute these patterns. I love your Liesl and Co patterns, and was secretly hoping this book was for woman, as I love your attention to detail and how you teach sewing in your patterns. I have lost some weight this year, and have about 20 pounds more to go, but I need to learn to sew for my new body by figuring out my own block pattern. Heather, I really hope to do the women’s version soon, but this is a good place to start because you don’t need to worry so much about fit. We’ll tackle fit soon, and then a women’s book will be the perfect next step. Thanks for your comment! This sounds like it will be such a good resource. I also went back to school to learn pattern drafting and adjustments. I love what I’m learning but will also definitely get this to add to my library of resources. I know it’ll be great! Can’t wait to purchase next Monday! I vote for a block pattern for women too. SOOOOOOOO EXCITED! Can’t wait to get my hands on this book! I am so excited!! Monday couldn’t come fast enough! I’ll defiantly be getting one of these books and I would love the women’s version as well!! I have all of your O+S patterns and have made at least 1 view from each, even mashing a few together. This book will certainly help me broaden my skills and as you describe, “imagine it and make it” just as a designer would do. Thank you so much developing this book. I cannot wait to buy my copy on Monday! This is so exciting! I’m so glad my 10 almost 11 year old is on the small side so hopefully I’ll get several years out of this book for her. She’s going to be as thrilled as I am to start designing her own dresses! I really appreciate all of your hard work, it truly shows in what I’ve seen today. A book like this for women would be icing on the cake for me. Congratulations! What a fantastic concept. It is the perfect way to build on all the skills I’ve already learned sewing Oliver + S patterns. Can’t wait to get my hands on it. Please, oh please, write the women’s version!! Please! Oh my stars! This looks incredible. I hope I can snag a copy next week! Glad to hear you’re thinking of one for women as I selfishly hoped this would be for me. 🙂 I do have a daughter to sew for though so I look forward to getting the book! Yay for my birthday being next month! I would buy this just for the instructions for scallops – I love them on a hem but have no idea how to do them. Another vote for a similar book for women, which I was also hoping this was. I haven’t crossed the line yet from making children’s clothes to adult clothes for myself … but even if I just keep sewing for my girls, my oldest is going to be in adult sizes in just a couple of years! AHH! This is very exciting! It looks to be a beautiful book and I am looking forward to Monday! See you then! Quick Question: Is it better for you to have us purchase through this site as opposed to Amazon? TIA. Dorothy, for us it’s better when people purchase directly from our site. Thanks for asking. Thank you, Todd. I thought so but wanted to clarify. I’ll be ordering from your site on Monday. Best wishes for a very successful launch! LOVE all the patterns ! Can not wait to have a copy! I have 3 little grand girls to sew for!!! Oh, I was so hoping that this was going to be a book for a women’s block. I guess it’s a good thing I have a niece I can sew for, but I sew hope you make the woman’s book a reality. I’m so excited about this! This is going to be such an amazing resource book! I’ll be ordering immediately when it’s available! Oh! I hope this sells really well so you will do one for grown women! I would buy a copy, but I have two grandSONS — the only time I’ve ever regretted that they weren’t girls! Thanks, Liesl, for all of your hard work. This looks amazing. Thanks for your comment, Martha. Some of these techniques will still apply to boys’ clothing as well, so you might still find it useful and interesting. This looks fantastic! My daughter’s generally a 12-14 now — does the book give instructions that would help me to size up? Jenny, no it doesn’t. But she may still fit the largest size, and you can get plenty of other use from the techniques in the book. The more I read about this the more excited I get! Will definitely be back on Monday to purchase. And I’d love a book for women. I definitely need help with fitting. I know technically how to do different types of adjustments but often I don’t know what adjustments are needed. Looking forward to being able to purchase on Monday. Congratulations! This book is absolutely stunning and the dresses are just beautiful. Thank you for sharing your talents. Your designs are always on trend. No one comes close to touching your children’s patterns. Way to go! I am super excited about this! I sew for many little girls, and would love to have a basic pattern to jump from instead of a new one every single time. I’m wondering if the patterns will be suitable for knit fabrics as well or just wovens? And I really hope this self-publishing exercise is rewarding in every way to you, but especially financially. I am so much more likely to buy the book knowing where the purchase price is going. 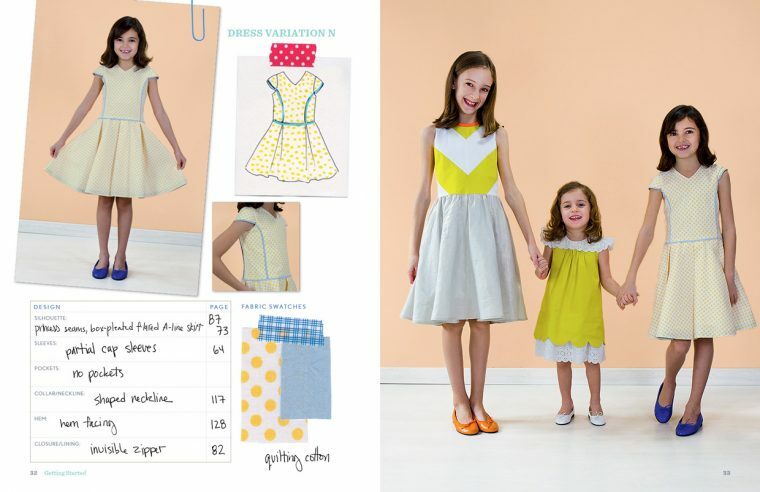 Can’t wait for this one~ I don’t sew much for my girls anymore as they are too big for little kids patterns, but I am sure I will be able to use the information learned as I venture into sewing more for myself. I can’t wait for the email saying it’s time to buy! This is a genius concept. I thought the book would be for women before I read the summary, and I am TOTALLY casting my vote for that book by buying this one in the meantime. I like that your summary includes such a wide variety of options — I can only imagine a book full of them! 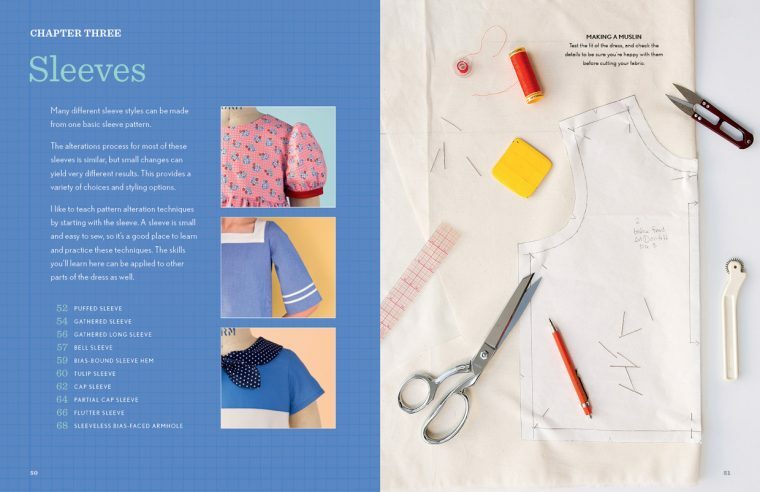 I love that Oliver + S makes even tricky patterns possible for a newbie to sew, and I am willing to bet this book will similarly make pattern alterations approachable to those of us who haven’t studied the subject. Yay! I’ve just pre-ordered on Amazon UK. I can’t wait!! Oh I am so excited!! I just had a baby girl and she is 9 months today. I have a feeling I will be using this book over and over again! I will be making my purchase on Monday!!!! I second all the lovely comments everyone has left so far: your patterns are wonderful, the styles are great, this book looks amazing, I’ll be ready as soon as it’s on sale AND, please make one for women’s clothes too!!! I have twin ten month old daughters and I’ve been learning how to sew using your patterns to make fun clothes for them. Can’t wait for this book as it’ll give me more options. Thank you!!! As a post-bilateral mastectomy woman that cannot wear forms, I have been looking for simple patterns without bust darts. And while I like bohemian or modern boxy cuts, I miss the classic look of dresses and actually have been looking at girls patterns to see how I might borrow a bodice pattern. I have limited sewing experience and have never done a SBA, but what I really want is a no-bust adjustment, simply removing the darts and yet still have a classic dress. It doesn’t matter to me if I look flat or girlish, as things are what they are and I have moved on. Well, except I can’t find clothing styled in a more traditional or vintage look. When you begin focusing on women’s patterns and pattern blocks, please, please show how to remove darts in a way that results in a flattering, classic shape!! I know I’m not alone in this quest!! Thank you!! Wishing you much success with your new book — I’m sure I will buy to see what info I can glean! oh my, going to purchase this simply to support you. Have no little girls to sew for. But hoping I can glean some information to draft out an women’s version. Please please do consider an adult version one day. (like soon) ha ha. Wow. I know what’s going on my Christmas list this year! Another person who was hoping this was a block pattern for women! But I’m sure getting some practice on my daughter will be helpful while I wait (patiently, patiently) for that book. Oh, my goodness — you have worked *sooo* hard to make this! Congratulations on your success. Thanks for putting so much of your time and energy into always making things so well-designed and informative. I, too, am just *so* excited! Thank you. Can’t wait to buy the book and get started! It’s all very exciting and perfect timing for me as I have a new love for making dresses for my 4 year old granddaughter. Thanks for writing it and sharing your expertise! Wonderful! Wonderful! Wonderful! I’ll be ordering a copy for me and my mother! +1 Bill! Our wives and daughters are getting all this great stuff, and we get a t-shirt. Oh my gosh! I’m so excited about this book. Everything you do is gold, and I know this book will be just the same! Cannot wait! Love it and can’t wait to buy it!!! The cover shot also had me thinking it was for women. Disappointing. Looks fantastic! I love the concept of the book. I’ll be purchasing one to help persuade you to do one for women! Would love to see that! I love your patterns and am really excited about this book. I will definitely be buying! Reading all about it has brought an idea to mind, though. 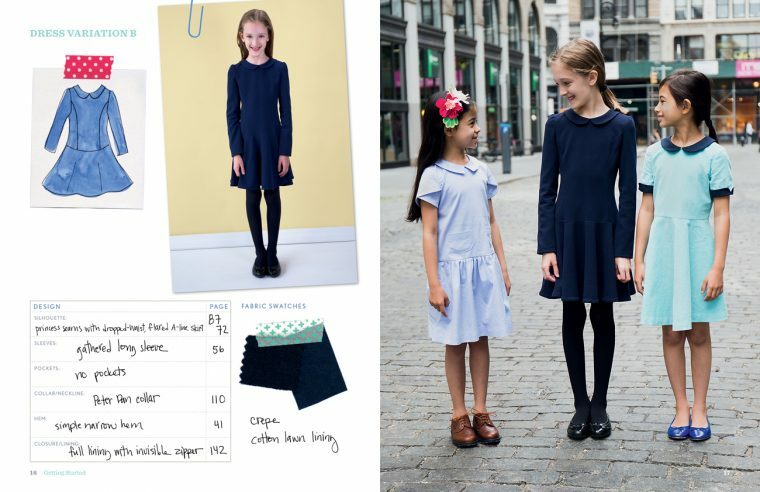 I’ve long been thinking of developing a line of girls’ dresses which would all feature a twist on a basic dress block. I really don’t have the skills to develop a pattern myself at the moment though – and I can totally see how this book would help me so much in bringing my ideas to life. I was wondering about the rights issue though – would I be able to sell garments made using your basic block from this book? Thanks so much – and I’ll obviously be buying the book in any case, as I have a million and one ideas for my daughter already! Sara, the pattern is for personal non-commercial use only. So we would request that you not use it for making items to sell. Understood, and many thanks for your response. Maybe the book will be a good starting point for learning how to develop my own pattern in any case. Very much looking forward to buying it! TAKE MY MONEY, LOL! This looks awesome! Can’t wait! Yippee!!! Will get one on your website MONDAY!!!! Thanks for your hard work. I am very excited, Liesl, and I already know I will love it based on all the fantastic work and writing you have done before. I happen to be writing this from The Roasting Plant in the West Village, a lesser place now without you and S! Congratulations on your new book! I’ll be back to place my order! Kathleen-Ann, yes it is available for shipping worldwide. There’s just a discounted shipping method available for purchasers in the USA. You can return to the site on Monday when the book becomes available and place your order then. I . Can . Not . Wait Will be back on Monday but can’t you take orders NOW ! Hi, will this be available for us who live in Africa? Omotayo, yes, it will be. We ship globally. I recently came across your site, and made the reversible bucket hat last Saturday – what a stunning project which turned out perfectly! Loved every minute of stitching it and know that I would really enjoy your book so I am very interested in buying a copy. However, I live in South Africa and your postage/packaging details are not made clear in your pricing structure – as you only mention the costs in the States. I have bought from Amazon before and had items sent across, so would like to get further information please. Shan, next Monday when the book is available, you can place a copy in your shopping bag and then use the Estimate Shipping link on the shopping bag page. This will present you with all the shipping options available to your country and the associated prices based on the weight and destination of your order. Thanks for getting back to me. I see that you reply to each comment that asks a question. We really appreciate that! Every blessing to you and Liesl – may your book be a great success!!! I am SOOOOO excited! I can’t wait to order a copy! I have customized several of the oliver+s patterns on my own-how exciting to have direction and so many creative options! Very excited to buy this!!! This looks like a great book! I already do a bit of this on my own, but having a book to guide me through properly would be fantastic. And a similar book for adults would be HUGE bonus for me, as that’s where I really need to develop my skills. I’ll definitely be placing an order next week. Thank you! I’m so excited to see this book! I don’t have so many little girls to see for… But am hoping I can learn a lot from the customizing, maybe even for an adult pattern like the Emery dress? 🙂 I’m also going your surprise is that we can maybe pick up an autographed copy next week from you! ¡Buena suerte con todo! One question… Now that you are living here in Spain, do you think it would be possible to get our copies here without paying more for the shipping than for the book itself…? Congratulations in advance. I’m sure it’s going to be a complete success blast. Maria, unfortunately not. All copies are located in our warehouse in the US. We don’t have any inventory of product with us in Spain. Everything ships from the US. I love that Todd worked out the number of variations! I think we need to have a “block party” and sew one version each!! I’m definitely buying this and purchasing it through the website rather than Amazon. I hope that helps your bottom line and gives you a fair profit on this magnificent book. As a grandmother, I am excited to use and perfect these techniques as my grand is only 7 months old right now. But imagine all the fun we’ll have when she is old enough to learn to sew with me….and I’ve gotten good at the techniques. What a treasure this book will be in forging those relationships. Although my daughter is 15 and grown out of Oliver and S patterns, I will buy this book just to practice customization. Do put a version out for women. Would definitely buy it as well. Congratulations. This is such a generous book, and I cannot wait to buy my copy! I have loved Little Things to Sew so much; it’s definitely my most-used, most beloved sewing book (and I own many!). I have made dozens of children’s clothes and accessories over the years using your book and your patterns, and I could not be a more satisfied customer. Thank you so much for providing the sewing community with tasteful, well-designed options for children. Wishing you nothing but success with your book launch! Man, I wish I had little girls to sew for! Will you ever expand this technique for pants and shirts that could cross over into unisex or boy fashion? That would be so fabulous. As is, I will still be requesting a copy of this for my local library so that I can check it out! I’m disappointed, as the focus of the book is on children’s clothes; though I am not surprised given the scope of your patterns and blog. So many of the patterns promoted by quilt stores, blogs, etc., are geared to children’s clothing. I know the challenges are different for women’s clothes … and children’s clothing is simpler in shape and detail. But I would dearly love someone to tackle women’s clothing; even simple slopers, in a friendly, commercial, non-FIT student way. There is a population who have been sewing for ages, and would love to go beyond “altering the commercial patterns” from the BIg 3. But best of luck to you and this is great for those who sew for girls, typed this mother of sons. Gail, what you might not have gathered from the post is that all the alteration techniques taught here are equally applicable to women’s apparel. It’s only the block pattern that is child sized. So if you have a favorite dress pattern, you can use all the same alteration approaches taught in the book to make the same sorts of modifications to it. I’m so excited about this book, I want to cry! I have 3 daughters and a whole bunch of fabric ready to go! Quick question: will I be able to use this block to create a sleeveless romper that crosses in the back and doesn’t necessarily have a scoop neck, or would I need a completely different block for that? :/ the more I think about it, the more I’m convinced that I’d be changing everything about the block, so there wouldn’t be a point starting out with this block. Ok, so maybe I have a new question. Will I learn in this book how to go up in sizes from an existing pattern? I have a pattern for the romper I mentioned, but it only goes to 24 months. I need a 3T and can’t find a pattern for it. Sarah, that sounds like it would require a different block. This book is based on a dress block. And, no, Liesl doesn’t address size grading here as that is a different and equally complicated issue that would require its own book. Thanks. That makes total sense. Maybe put that in the queue of potential future books. Still really excited about this book! Congrats on this wonderful project — looking forward to purchasing a copy. I’ve already learned so much from Oliver + S patterns thus far. I would have loved to see a variation of the dress that included a placket closure, as that introduces so many more possibilities/options (shirt dress, half placket dress) — just an idea in case a book “add on” pack is something you’re considering! Monday can’t come soon enough! What a great concept!! I’m super excited to buy copies for myself and as gifts. Not only can I sew for my kid, I can audition the techniques on her dress before I try them out for myself. Good thing there will always be the children of friends, neighbors, relatives, and the little siblings of classmates to tide me over until I can sew for grandkids! I will be buying a copy as a vote for a women’s version. For some reason when I read the first post about your new project I had assumed it would be for a women’s pattern block and was disappointed when I realised it was for children. Also sad to see that the base pattern block only goes up to 12 rather than 14. My 10 year old is already wearing size 13/14 but I still wants to dress like a 10 year old. I know that the market for tween patterns is prohibitively small but it would have been good to have a size 14 to cater for all the larger than average kids? Hoping for a blog post outlining how to size up the block pattern 🙂 Congratulations on your new book – it looks amazing! Congrats on the new book. Alas I now have no girls to sew for but will be buying a copy as a vote for a women’s book asap, just hoping the postage to Australia isn’t too prohibitive 🙂 love all you do…. This book is amazing, “bravo” !!! There is so much different and lovely dresses, it will be hard to choose ! Do you think you will translate your book in others languages, as “Little things to sew” ? It would be so great ! Thank you very much ! Marie, it’s possible. But there are no plans on the table right now to do that. Michelle, I know the tall model and her health history extremely well. She is my daughter. I can assure you that she is perfectly healthy. This is her natural, God-given build–something she inherited from two parents who were also both slightly built as children. Ever since birth she has been in the upper quartile for height and the lower decile for weight on the growth chart. Her growth is proceeding perfectly normally, and she is a happy and healthy child who is physically active, exceedingly intelligent, and very attuned to the feelings of others. Her pediatrician has no concerns with her physique or her health–although both her pediatrician and her parents wish she would eat more vegetables! Many people have body shapes and sizes that do not adhere closely to society’s averages–on both sides of the 50th percentile. That’s one of the wonderful things about sewing clothing. It’s possible to get a garment with a perfect fit even if one does not fall into a standard size. Michelle, that wasn’t a very kind thing to say. I’m sure the author would rather we focus on the overall book concept, rather than minor things to nitpick. Tell it like it is Todd! Todd, I’m sorry that this reader felt it appropriate to insult your beautiful, healthy child. She is gorgeous and I love that she continues to model for Liesl’s patterns. I am so excited about this book! I ordered one!!! My four sweet grandgirls are still wearing all the wonderful dresses and costumes I have created these past years with your patterns, especially the fairy tale dress pattern! And my grandsons love their outfits and items! Thank you for helping me show my love to these precious grandbebes and making them so happy. Thank you for the blog posts and the information leading up to the release. It was a delightful surprise to see your daughter in the photos! I was relieved to know she was still in the sizing and how beautiful she has grown. She looks just like her mother! The photos look like they were having fun. 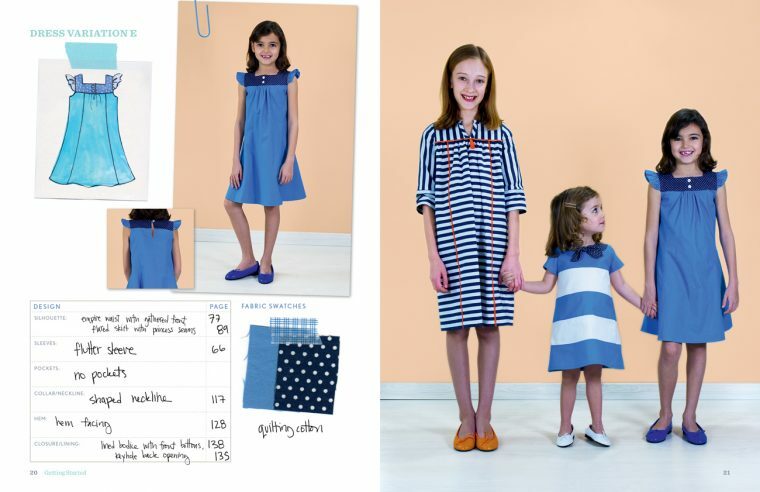 It’s all about sewing for the children we love and your posts and photos really exemplify it. It’s like we are purchasing patterns from a family for our family. Thank you! And wow. I cannot wait for the future books for women and… who knows what! I do enjoy your teaching skills and your eye for construction! Thank you. I teach several young girls how to sew in my home. And I always use your methods from your patterns. I am no professional or expert but your sure help me look like one! I recommend your patterns to adults who ask me about learning to sew. Your book will be perfect resource to recommend. Donna, thank you so much for this delightful comment! We are so pleased we can play this part in your life. From our family to yours, happy sewing! Pardon? I think she looks adorable and extremely healthy. I don’t subscribe to Wallis Simpson’s creed, as I think one CAN be too thin or too rich – but she is a slim, healthy looking, pretty little girl, and besides, this is no place to carry out some kind of fat is beautiful thing. I am excited to buy this book!! I already have an idea for the first dress I want to sew for my daughter for Christmas. I sew ideas in here that I could easily use into your other patterns formy boys as well. Thank for all your hard work! So very excited about this book! I’m one of those who are not able, due to locality and life situation, to go back to school to take pattern drafting:) I’m looking foreword to all the new techniques I will be able to learn from this book, and truly hope that you will be able to do one for women as well. Thanks for all you do! I feel so excited about this book! Thank you for sharing your wealth of knowledge with us! I love the book, but am on the fence about purchasing because my daughter is 11 but I’d probably make the size 12 for her. I’m wondering if I could get another year or two out of the block with some alterations? All this is to say that I would LOVE this same book idea for women as it would be useful to me and my daughter in the coming years. Keep in mind, Laura, that everything in the book can be applied to other sewing patterns as well. 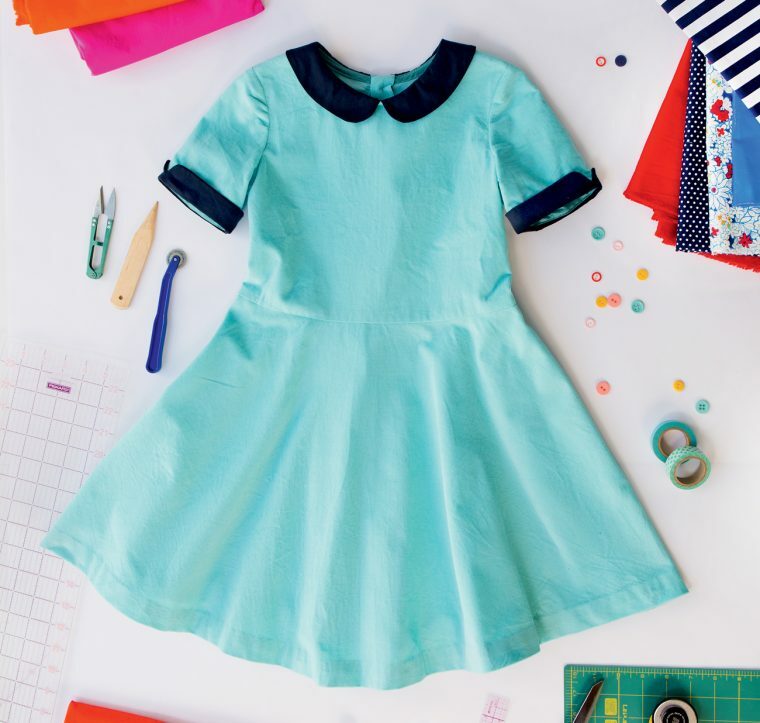 Even if you don’t use the dress pattern at all, you can use the techniques on other sewing for yourself and your daughter, etc. The dress pattern is simply the vehicle we included to give you a starting point. Liesl, this is so incredibly fabulous – I can’t imagine learning all of this from anyone but you! Thank you!! That’s so sweet of you, Gail. Thanks! OMG!! AM I reading that a menswear and a womenswear re coming along??? That would be just a dream. This book is sooooo goood. Sucha good work, as you have us accustomed to. Placed my order and I am looking forward to receiving the book! Good Luck, Liesl and Todd! I hope all your hard work pays off wonderfully. I have the book and am soooo pleased that all the alteration techniques are in one book! And the choices look very French…classic styles. I do wish there was a chart that lists the measurements you used for each size..or may I assume that the measurements are the same you use for Oliver and S? If so, I can check those patterns. Thank you for the time and care you took creating this book. Let’s encourage these new moms to sew! I just ordered mine and am so excited. My daughter loves fashion and design and I can’t wait to create some beautiful dresses with her. What a wonderful idea Liesl, thank you for your dedication and hard work to create a book to share your wealth of knowledge and skills.